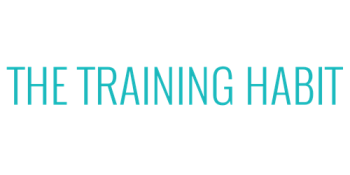 The Training Habit has been helping residents of Orange County lose weight, tone up and get back in shape for over 10 years. Our personal trainers take pride in making sure clients needs are met on a daily basis. A combination of hard work from our clients and the knowledge/care received from our personal trainers makes your habit our passion! These goals were achieved by many methods. Some clients took our group classes, some did our semi-private personal training and other opted for our one one personal training service. None the less all of our clients put in the time and effort to get where they needed to be and beyond. We were just their extra push! Our brand new gym is located in Irvine by John Wayne Airport. Our facility features 2,500 square feet of top of the line equipment, a beautiful upstairs yoga studio, an ego free environment and a non crowded area to train. Our front door faces the intersection of Red Hill and Main which is moments away from the 55, 73 and 405 freeways. Michael immersed himself in every service we offer at TTH. One on one personal training sessions, small group classes, weekly yoga sessions and guidance from our on staff dietitian completely changed his body and mind over a years time! THE TRAINING HABIT KEPT ME LAKER GIRLS READY! I was trying out for my second season with the Lakers Girls and found The Training Habit. Yes we have to try out every year and it’s our own responsibility to stay in shape during the off season if we want a shot at making the team! I needed a workout routine that would not only keep me in shape, but keep my endurance up during my dance routine at tryouts. After a lazy summer, I chose TTH because I was promised the workouts would cater to my needs of flexibility, keep my stamina and of course look good for tryouts. The delivered it all and was very professional while training me. Needless to say I made it! Stephanie had a goal of getting on a competition stage. After 1 year of animalistic workouts with TTH and more dedication than anyone can imagine. Steph made her dream of being a bikini competitor come true! Ali, our lead group instructor with a great transformation before her bachelorette party! Carissa came to TTH looking for a personal trainer to get her in shape for her wedding. She came she conquered and looked beautiful walking down the isle! LOST 50 POUNDS AT AGE 60! At 60 years of age, Lou was able to dial in his diet, workout hard and dedicate himself. In the end, he lost 50 pounds and got back down to where he was at 40! After years of struggle, Kara found TTH and started personal training. After just 5 months she was down 35 pounds, 4 pant sizes and 9% in body fat! Another wedding success story for TTH. KJ was prepping for her wedding in Orange County and found our personal trainers. Needless to say she was stunning in her white dress.! 30 days ago I started my transformation. I am close to my goal of 15% body fat (I weigh in on Friday) but there is still a lot of work to be done and weights to be lifted. My yoga class last night focused on the practice of “perspective.” I love this topic because the last 30 days I have truly had a completely different perspective on eating, training ad even just how I live life daily. As I have said multiple times I love change and a challenge so working different muscles pushing my body in ways I have never done before is exhilarating! I can’t wait to gain even more knowledge about health and fitness moving forward. @ocselectbasketball thank you for being such an awesome trainer keep killin me in the gym and @thetraininghabit your dream is my motivation!!! After just 6 months with hard exercise, tightened diet and the will be able to finish a swing dance routine with maximized stamina. Chandler hit his goal! I never thought hiring a personal trainer at The Training Habit would allow for so much success. I am down over 40 pounds and I have not felt this strong in years! Kai and the Training Habit has truly changed my life! I GOT MY PRE BABY WEIGHT BACK! I am a busy mom and business woman, so my schedule was hectic! With everything going on I had lost time for myself. I started training with Sarkis at The Training Habit and in 4 months I was down 21 pounds from 137. I lost 6% body fat and I learned that even the simplest movements and small changes in diet can do your body good inside and out. Sarkis provided great workouts and A LOT of support when I needed him via text and phone. Great experience all around. I now train on my own and have maintained a healthy weight thanks to the guidance from the trainers at The Training Habit! I LOST 22 POUNDS WITH FITNESS BY KAI! I always loved tennis at the Newport Beach Tennis Club, but the pace of life over ran me and the weight I put on really discouraged me from playing.The Training Habit helped me lose over 20 pounds pounds with their exercise coupled with a clean eating plan. This in turn allowed me to start playing tennis again. I no longer have pain in my joints after a round of tennis since the weight came off and the strain on my body is less. After adding a little weight lifting to her workout coupled with a cardio routine, she built a booty and toned up majorly! The change all in 4 months! Good work! I LOST OVER 30 POUNDS! Before I started working out at The Training Habit in Irvine. I had tried other places in the area that provided mostly group training, but I quickly realized that was not the route that I wanted to go. After starting with Chris at TTH, I was all in. I immediately started their preferred clean eating plan and coupled with our workouts the weight began to shed. Let me be clear I worked hard with Chris to get where I am at I was not lucky. I guess the harder I worked the luckier I got. I never thought at my age shedding 50 pounds would be possible. In 8 months I lost 50 pounds and dropped 8% in body fat. At 50 years old I knew it would be much harder, but the trainers at Fitness by Kai showed me it was possible with dedication to exercise and diet! After working out on her own for years on her own and seeing no results our client Leticia found Fitness by Kai. By helping her make healthy changes to her diet coupled with the proper exercises for her body type she lost 22 pounds, 4.5% body and 14 inches of her body! Kristin started a her own weight challenge and lost 2 inches off her waist, 5 pounds and 4 inches off of her thighs in just 3 months. The best part is she went from 24% to 19% body fat and put on 6 extra pounds of muscle! The last photo was taken 4/5/15. Kai transformed my body! I could not believe that my body could look like this! When I started over a year ago at the Training Habit Irvine location I never knew that the outcome would be this phenomenal. I have lost 30 pounds and 22 inches of my body! I LOST 10% BODY FAT 25 POUNDS AND 20 INCHES! If you are looking for a personal trainer to push you to succeed I highly recommend The Training Habit! I could not have transformed without them. Trust me, I tried everything else before I found TTH. All I can say is the proof is in the pudding. Click here to read my Yelp review and this incredible article that Thumbtack did on my weight loss http://bit.ly/1ffal0M! This college senior transformed her body, one workout and one healthy choice at a time! Congrats @sammi_ariel for dropping 40 lbs in 8 months!! After 2 month of coming to our group fitness classes everyday in Irvine, Caitlyn toned her tummy! 7 POUNDS IN 3 WEEKS! After reducing his sugar intake by 75% Chris lost 7 pounds in 3 weeks and leaned out significantly with minimal working out!!! Amazing! Former client Sali put in major work before here wedding and got results. Big time!! Her trainer in LA did a killer job! LOOK BETTER FOR THEMED PARTIES! Once again the text sent to one of our Irvine personal trainers says it all! Chandler Before His Final Weigh In! Once again the text sent to one of our Irvine personal trainers through My Fitness Pal says it all! GET BACK IN THOSE OLD JEANS! Text messages as personal trainers we at The Training Habit love to wake up to! THE TEXT SAYS IT ALL! Text messages we get love to wake up to as personal trainers at The Training Habit! ONE GOAL DOWN ANOTHER IN THE WORKS! Stephanie has worked hard inside and out of the gym to hit her goals. After working with Chris for 4 months she is down close to 14 inches overall. Here is a text we received on Oct. 13th, 2014. We can not be any happier and we are excited as much as Stephanie to keep pushing on.